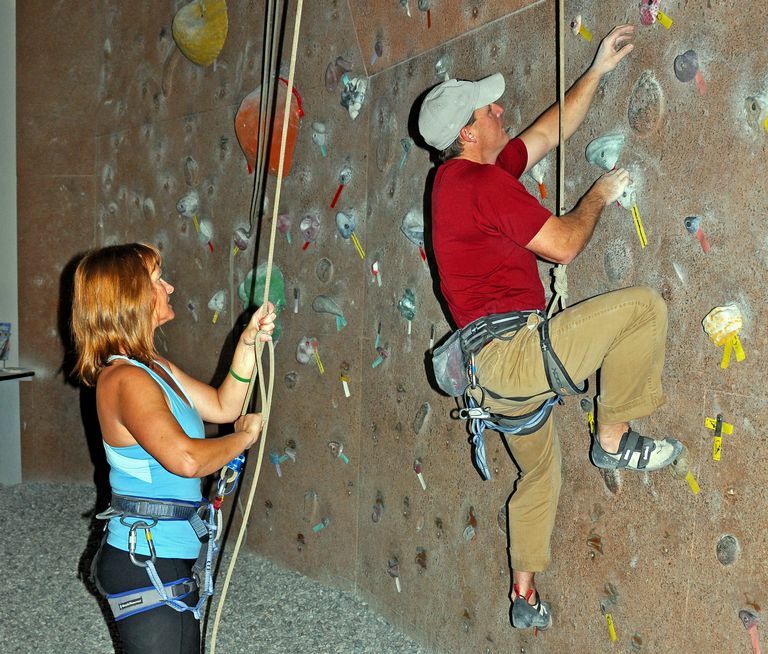 If you want to try rock climbing, it is best to go to an indoor rock climbing gym. Climbing gyms are everywhere now. Most big cities have several climbing gyms or you can find one at your local fitness club or university. It’s easy and fun to try indoor climbing. Most offer rental equipment, including rock shoes and a climbing harness, so you can try climbing without buying any gear. If you really like your first climbing experiences at the gym, you can attend a gym-guided climbing day at a local outdoor cliff. An indoor climbing gym is the best place to learn how to climb. Rock climbing gyms, with walls covered with bolted-on handholds and footholds of different shapes and sizes, let you start climbing in a safe, controlled, and monitored environment. Climbing gyms are set up and run so that climbers are safe. Gym employees make sure that you and your climbing partner have basic safety knowledge, and will check to make sure you are climbing and belaying safely. You can also quickly learn basic climbing skills, including climbing movement techniques, at your local indoor rock gym. Most gyms offer introductory classes for novices as well as ones that teach more advanced climbing skills like belaying and lowering. 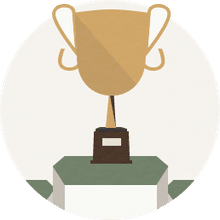 Indoor climbing gyms offer lots of learning opportunities for beginning climbers with classes, private lessons, clinics led by elite climbers, and well as being able to observe experienced climbers. One of the best ways to improve your climbing, besides practice of course, is simply to sit down in a busy indoor gym and watch the best climbers. Observe how they place their feet on various footholds, how they grasp handholds on the wall, how they figure out difficult moves, and how they not only move, but flow up the wall. Besides being a great place to learn how to climb, indoor gyms never have a problem with the weather. Is it too cold, snowy, or rainy outside? No problem, pack up your climbing pack with shoes, harness, and chalk bag, and head to the great indoors. Rock climbing gyms let climbers train and practice all year and to maintain climbing fitness so when the weather does improve, they are able to take advantage and get outside to crank on real rock. Indoor climbing gyms are perfect not only for learning to climb, but also to meet other climbers, find climbing partners with similar abilities to yourself, and to socialize with your local climbing community by attending photo programs and lectures. If you do not have a regular climbing partner, go to the gym and post a note on the bulletin board for a climbing buddy. Most gyms also have bouldering walls so that you can practice hard moves and boulder problems by yourself. One of the big questions that beginning climbers ask, especially if they want to start climbing but don’t have a friend who wants to learn too, is “How can I find someone to climb with?” You will find the answer to that question at your local rock gym by meeting other climbers. Take a class. Ask someone who is standing around or bouldering if they want to swap belays. Sign up for an outdoor day trip led by a gym instructor to your local cliff. The walls at indoor climbing gyms are usually built from prefabricated fake-rock panels or textured plywood sheets that are attached to a metal or wood framework inside the gym. The panels are made by various climbing wall companies including Entreprise and Nicros. The walls are attached to the building’s structure at both the base and the top so that they are stable and don’t move or flex. Most gym walls are vertical, although some are overhanging, form roofs or horizontal overhangs, or slabs, which are faces less than vertical. Indoor climbing walls range in height from 20 to 50 feet and are equipped either with a sturdy anchor at the top for toproping or bolts with fixed quickdraws for lead climbing. Many gyms also have lower walls for bouldering or climbing without a rope. Artificial footholds and handholds are made of resin poured into molds of different shapes and sizes from tiny fingertip edges to giant hand-sized buckets. The holds are attached to the walls with a long bolt tightened into a t-nut. A collection of holds, each one marked with a tag of colored tape, form climbing routes, which are a combination of climbing moves of various difficulties on the wall. Easy routes have big holds, while more difficult routes usually have smaller holds. Most climbing gyms also have weight-lifting equipment, areas for stretching and yoga, hangboards for strengthening your fingers and hands, coffee bars, and a pro shop that sells basic climbing equipment, chalk, and guidebooks. Some have showers and locker rooms too.